...the pleasure of letting 13,402 people like you receive 121,914 gifts! 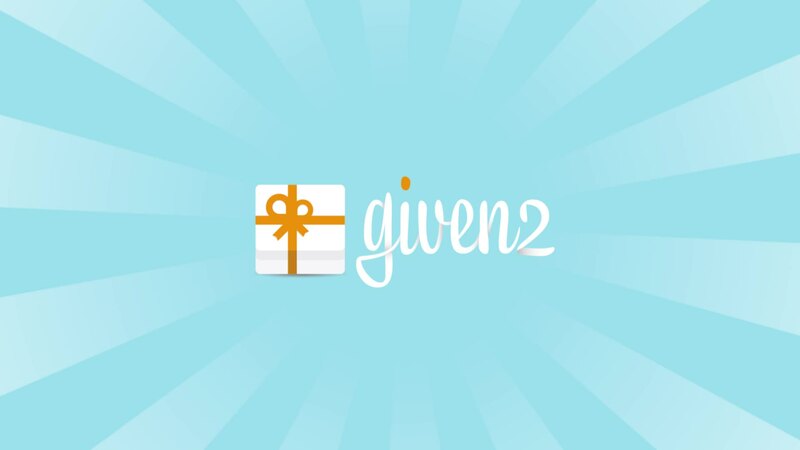 Given2 is the Online Gift Registry perfect for those who don't want any restriction or commission! You will receive the chosen gifts in the comfort of your home and the cash gifts directly into your bank account, always receiving 100% of your gifts! Imagination is your only limit, you can ask for any gift from "Fridge for your new House" to "Favourite Travel" or "Peacefulness for a happy new life"
The Website of your event is ready, you are free to customize it and share it with your guests. It is a simple tool to communicate with them and express your gratitude for the received gifts! In case you already have your own website, no problem: you can embed our list into your website. A solution straddling tradition and innovation. Thank you Given2 team for your efficiency and for meeting all our needs. Since the moment I signed up everything was simple and user-friendly. Even our guests were amazed by the handiness of Given2. Thank you! Given2® | The first direct Gift Registry with no handling fees Given2 is the first Gift Registry directly addressed to you, with no handling fees. The total amount of every gift will be sent into your bank account. Learn more.